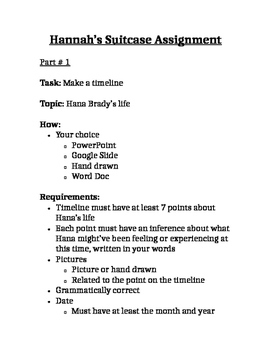 This is a two part assignment which allows students to demonstrate their understanding of Hana's Suitcase. TIMELINE- They are to create a timeline about Hana's life. 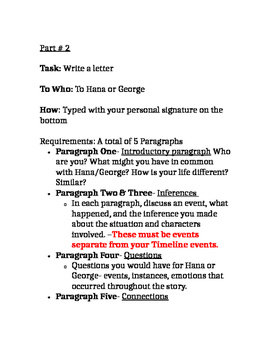 This timeline asks students to pick events, make an inference about each event, as well as include other information to demonstrate their understanding.